In today’s technological times, the use of the internet has risen significantly. Citizens in every corner of the globe are accessing the internet every day for school, work, research, socializing, and everything in between. Sadly, however, this increase in internet usage has also given rise to many other issues — most notably, those looking to exploit the internet for their own personal gain. When Do Lawsuits Against Domain Owners or Squatters Win? How long has domain squatting existed? Since the beginning of the internet, when the majority of us were not overly familiar with what was, at that moment in time, an unfamiliar technology. Typically, domain squatters make an exorbitant offer to the individual or company who owns the trademark. It’s important to note, however, that just because a domain name is already registered, this does not necessarily mean it is being used by a “squatter.” Over the last decade, the number of people registering domain names has surged due to how important it is to have one that’s associated with a company trademark. Let’s find out more about how you can obtain domain names that are already owned and registered, while also exploring some valuable information about these so-called domain squatters. When a particular domain name is already registered, this means that it is owned by the registering party. If you are intent on buying this particular domain name, the first step you need to take is to figure out if the domain is registered for legitimate purposes or is being held in a limbo state due to potential squatting. Therefore, it is the primary interest for most domain-owning individuals. 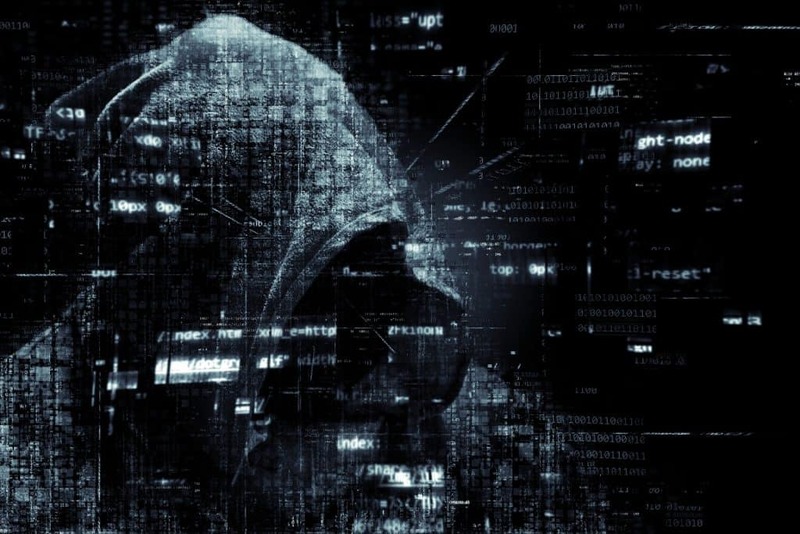 After surmising whether or not a domain is being legitimately used or is being held for squatting purposes, you can determine the price you are willing to offer the domain owner. Often, domain names that are being legitimately used can be negotiated for a modest sum, being enough to incentivize domain owners to transfer their rights. However, if the domain name has been registered in bad faith and with the intent of squatting, negotiating may prove fruitless as the asking price can be massively inflated. Worse still — if the negotiating party is a nationally-recognized company, celebrity, or public figure, the squatter will probably believe that they can easily pony up the asking price. Because many domain owners charge extortionate prices and remain stubborn throughout the negotiation, the options for obtaining a domain name become reduced. This leaves many interested parties with no other choice than to try and snap up a domain name upon expiry. That said, waiting for a domain name to expire is a risky endeavor because multiple parties may be interested in buying the domain name and may obtain it before you. Additionally, domain name owners might be subscribing to automatic renewal services to prevent any lapse in ownership. If neither of the above options work, most people turn to legal action. Note: this is not legal advice. Before taking any action, you should consult with an attorney. Court battles are notoriously costly for all parties involved. Due to the lengthy processes involved, along with the cost of retaining counsel, many individuals will go back to their negotiation attempts or will wait for the domain name to expire. 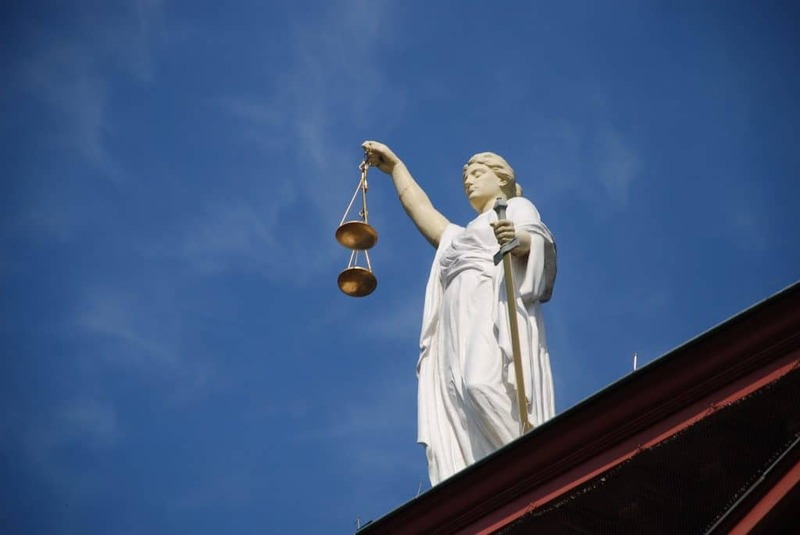 Those who move forward in court cases typically have a solid case that indicates domain squatting and they also have access to the funding needed for representation during a potentially lengthy court case. Assuming the suing party is taking the stance that there is domain squatting involved, there are two options available to gain ownership. The Anti-Cybersquatting Consumer Protection Act (ACPA). The ACPA prohibits domain squatting. If you opt to negotiate with the domain squatter and fail to come to agreeable terms, you are entitled to get an attorney and file legal proceedings with the ACPA. It’s critically important to thoroughly understand the magnitude of entering into such a court case, however, as they are often lengthy, expensive, and emotionally draining. Sue domain squatters via the Internet Corporation of Assigned Names and Numbers’ international system of arbitration (also known as ICANN). Below, we’ll explore both of these methods in more detail so you can decide which, if either, may be right for you. This enables trademark owners to file lawsuits against domain owners or squatters. It involves using the federal court system to “evict” an individual from the domain and transfer it back to the trademark owner’s rightful possession. ACPA cases often result in expenses such as damages and court costs for the other party — if the individual in question is a squatter and not merely a domain owner. A successful ACPA defense will demonstrate that the accused domain owner had a legitimate reason to register the domain name and did not act in bad faith with the intent of selling the domain back to the company at a grossly inflated price. ICANN’s website has a wealth of information about their court proceedings including tips on how to prevent domain squatting as a business or individual. Court cases are often fascinating because they show just how complex the issues involved can be. The example of American teenager Mike Rowe is an interesting case involving famed global company, Microsoft, and their efforts against evicting the teen from his own personal website. 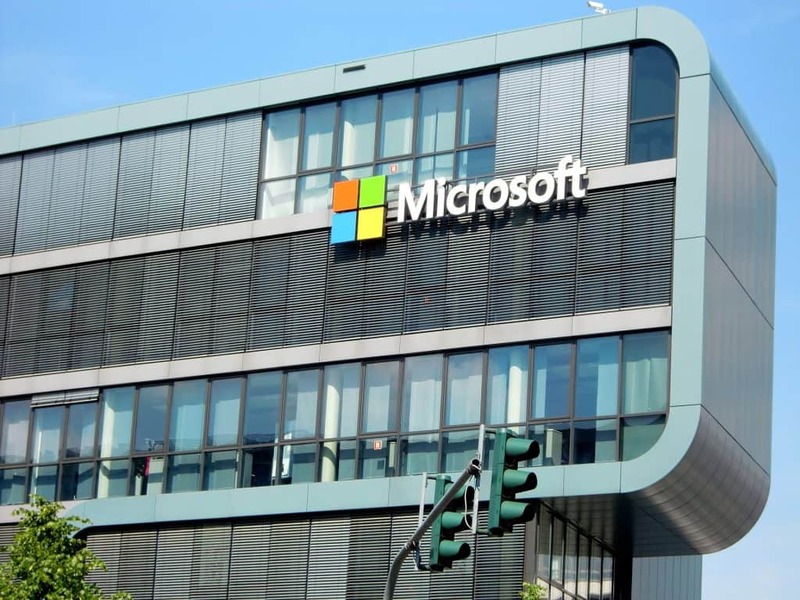 Microsoft claimed that the domain name infringed upon their trademark rights. The domain in question was MikeRoweSoft.com, a name that Mike Rowe thought was clever and unique in an online world inundated with generic domain names. Mike Rowe’s personal site had no affiliation with Microsoft, did not attempt to profit off their name, and was full of personal pictures and blog posts detailing his everyday life. Nevertheless, Microsoft sent a cease and desist letter to the teen along with a payment of $10 for his inconvenience. In response, Mr. Rowe sent his own letter, detailing his personal use of the domain and the fact that it did not mention Microsoft in any way, shape, or form. He also demanded $10,000 to release the domain name to the company. Microsoft promptly took Mike Rowe to court and soon faced a massive public outcry from the American population. They were outraged at the efforts Microsoft was taking to remove a child from the rights to his own personal site. Microsoft soon dropped the lawsuit against Mike Rowe, stating that they had “taken the matter too seriously.” Instead, Mike Rowe and Microsoft came to an agreement outside of court, where Rowe received an Xbox, help setting up a new domain name and website, access to a Microsoft certification course, and a trip for his whole family to Microsoft’s Research Tech Fest. The result of this case? International companies learned a valuable lesson: not only would the public always be sympathetic to their domain retrieval rights but they could face massive public relations damage, too. Pop star Madonna’s court battle with someone using madonna.com is a fairly clear example of how this whole process works, and ultimately, how an individual can prevail in their efforts to reclaim their name or trademark. In the case of Madonna, a New York businessman had registered madonna.com, despite seemingly having no legitimate interest in registering the name other than for domain squatting. He also had a history of doing this, having previously registered domain names such as wallstreetjournal.com — again, seemingly having no legitimate interest for procuring and registering that specific name. Madonna fought her court case through the World Intellectual Property Organization and eventually won the case, resulting in her gaining control of the madonna.com site. Other celebrities have followed suit to win their own cases against cybersquatters in court. Notable examples include Julia Roberts and Jethro Tull, both of whom fought long legal battles to reclaim their names. 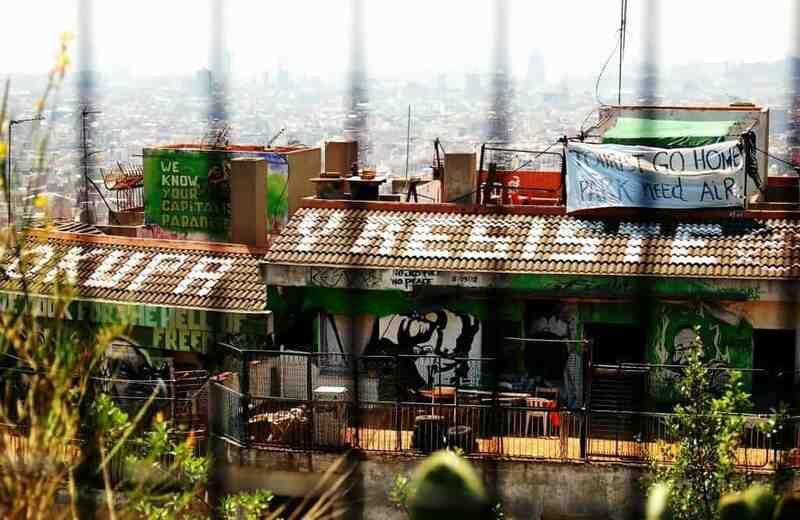 Their mutual victories over domain squatters have inspired thousands of individuals, businesses, and organizations to fight back and claim their own names. Major corporations such as Panasonic, Avon, and Hertz have also gone on to fight their battle in court in a bid to reclaim their trademark names. Inspiringly, victory often goes in favor of the claimants, with courts continuing to side with the parties who have a well-documented history of association with the name in question. Ultimately, winning against domain squatters comes down to whether or not the individual has a legitimate interest in the domain name. As mentioned earlier, in the case of Madonna.com, the court found that the defendant had no legitimate interest in registering the domain name other than to profit from Madonna’s trademark and fame. However, there are plenty of individuals on the internet who have vested, and completely legitimate, interests in their site and are not intending to profit from another individual or business. When Do Domain Court Cases Lose? While many businesses and individuals have gone on to successfully reclaim their domain names, it is important to note that there are just as many people who lose their case when attempting to reclaim their names. Rockstar Sting is a fairly recent example. His efforts to procure sting.com were denied by the World Intellectual Property Organization on the basis that the word “sting” is common in the English language and that Sting had no legitimate hold over the associated .com domain. Nevertheless, Sting was latter able to acquire this domain name through other means. But it’s our final example of Bruce Springsteen that proves fascinating for a number of reasons. Springsteen brought a case against the owner of BruceSpringsteen.com. He claimed that the website was used only to redirect traffic to his own personal “Celebrity 1000” website. Despite redirecting traffic to his Celebrity 1000 site, however, the defendant indicated that his Bruce Springsteen site was a fan club, complete with singer biography, fan message and discussion boards, and a Bruce Springsteen Club for fans to hold free membership to. He further argued that his site did not harm Springsteen’s image or reputation in any way and that he made no profit whatsoever from owning the domain. His defense was well-argued. He showed that Brucespringsteen.com could not be confused with the official Springsteen website (BruceSpringsteen.net), in the same way that using any celebrity or trademark name on a magazine could not be confused with its associated official website. Further, he argued that any person looking for the official Bruce Springsteen website would not visit BruceSpringsteen.com, but if they did click on his site, they would do so knowing that it was unofficial and unrelated to the singer’s official site. Ultimately, the defendant won the case. It was ruled that he had legitimate interests in the domain name and could retain ownership as he saw fit. Perhaps one of the most widely discussed domain squatting cases to have ever occurred, people wondered how a famous singer was not able to procure the rights to his own name. But domain names are a complicated business. And just being famous or powerful does not mean you will always win a case of alleged domain squatting. As the previous example highlights — taking domain squatting cases to court is never a sure thing. While many cases win, many still continue to lose. Domain squatters are able to craft airtight defenses and cultivate a kind of faux legitimacy to succeed in their money-making endeavors. However, despite the uncertainty involved in taking domain name cases to court, it is always a worthy endeavor for those who wish to reclaim their names, especially in an online world where domain authority and ownership reigns supreme for branding, growth, and continued financial prowess. Whether it involves Microsoft, Madonna, Sting, or Bruce Springsteen, it is of great value to understand that domain squatting lawsuits are never cut and dry and can often go in unexpected and surprising directions. Consequently, when taking on domain squatters, people need to ensure that they have rock-solid cases that illustrate their rights to the domain name. They also need to demonstrate the illegitimate interest of the domain squatter who is currently operating the domain. Take away point: Not every case is domain squatting and there are plenty of gray areas to contend with. And these gray areas can prove to be confusing and arduous for many people. Many thinking about starting a domain squatting case might change their mind due to fear, uncertainty about the outcome, and concerns over the hefty costs involved. For those who are on the fence about instigating legal proceedings against domain squatters, it’s extremely helpful not to focus on the legal costs, the uncertainty, and the bevy of what ifs, but on the domain squatter in question, instead. An individual can easily conclude that a case against a domain squatter is worthwhile by simply looking at the domain squatter’s activity on the site. If the domain squatter is redirecting people to their own sites and ads, or if there is obvious intent to profit from famed individuals or a company’s namesake, then legal proceedings are definitely in order. Further, those considering lawsuits against domain squatters can be increasingly confident of a victory in court if they have obtained a trademark before the domain squatter registered the site name. If this proves to be the case, trademark owners can easily prove trademark infringement in court or via the UDRP resolution policies. Remember: this is not legal advice. Before taking any action, you should consult with an attorney. How do I find out who owns a domain? To easily discern who owns a particular domain, visit ICANN’s site to perform a WHOIS search. Often a domain owner’s contact information will be available from the search results page. While many domain owners utilize services to protect their privacy, there should be a contact email you can access at the very least. More often than not, domain owners who are squatting or using many sites to make money will make it fairly easy for you to contact them. A domain’s worth is not always easy to gauge as it can be highly subjective. Domain squatters may insist that their domain name is worth hundreds of millions while others might perceive the same domain to be worth a few hundred dollars. Aside from subjective estimations, a domain’s value can be assessed in a variety of ways such as through its affiliation with a recognizable public figure, company, or product, or through its association with a popular domain that is already widely in use. Legal status — Is it a registered trademark? Has it expired? Desirability — How much do you want to own the site? At what cost? Domain owner’s situation – Do they have a vested interest in owning the site? Do they need the money from a domain sale? Are they emotionally attached to the site? The Economy — Is the economy a bull or bear market currently? 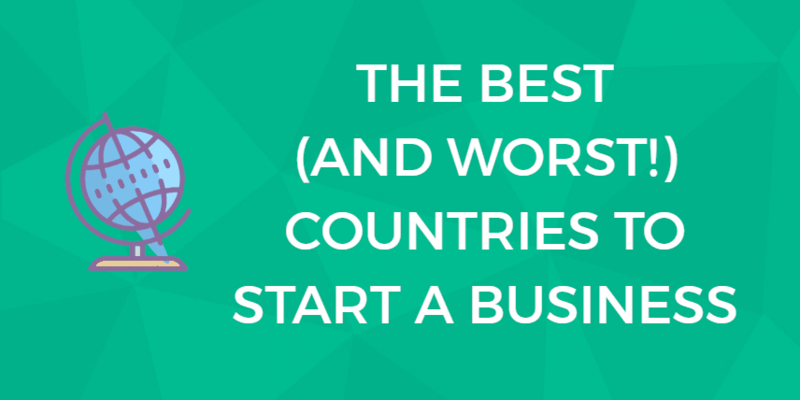 Depending on the economy, domain names can be worth far more or far less. How do I find out if the domain I want becomes available? For many internet users, obtaining their domain of choice can become a waiting game that lasts for years. While interested parties can directly contact domain owners, many prefer to simply wait it out and procure the domain name upon expiry. It’s worth noting that contacting domain owners is a far more effective strategy. Many people worry about getting in touch with domain owners, assuming that the domain owner will be angry or combative due to how possessive people can be over their domain names. However, politely approaching domain owners can often be a winning strategy. By stating your interest in the site, the reasons behind your interest, and making a reasonable offer, interested parties can often get a desirable response — or at least start a conversation that enables the negotiation process. Not contacting domain owners is undoubtedly easier but can be immensely frustrating and is not foolproof. You should never assume that you are the only one who’s willing to wait for a domain to expire — and others may try negotiations before the domain expires. Additionally, many domains now take advantage of automatic renewals. Thus, when you think that a domain might be expiring and choose to wait it out, you may be sorely surprised when it continues to operate well past the expiry date. Even without automatic renewals, nearly all domain registry companies provide their customers with convenient grace periods and email notifications when it is time to renew. The enormous global population using the internet for personal and professional endeavors has resulted in a lack of sought-after .com domain names. With the reduction in .com names available, the business of domain squatting started to become far less prevalent than it was in its heyday (the early days of the internet). ICANN, whose primary focus is the oversight of the international internet system, introduced the concept of gTLDs to ease the difficulty experienced by internet users who are looking to procure relevant domain names. ICANN endeavors to massively increase the availability of domain names by rolling out hundreds of domain “extension names” that will help internet users obtain domains that define and represent their brand and interests. 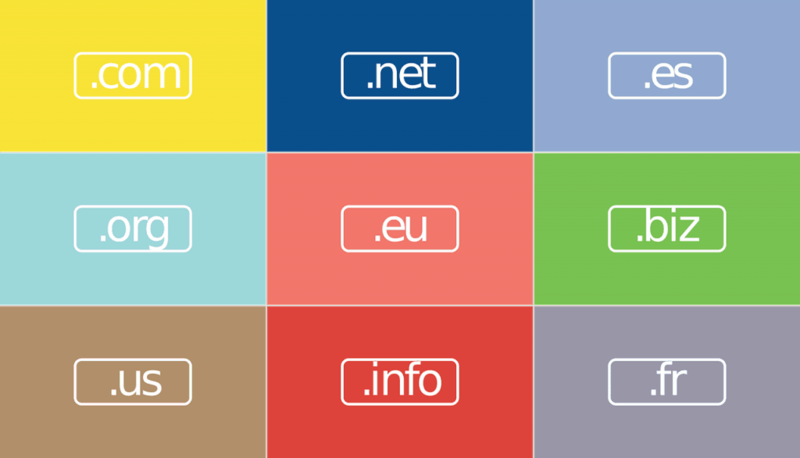 Today, there are countless gTLD’s available. Every extension imaginable can be found today, from .news to .clothing and much more. While this makes finding relevant domain names much easier, it has consequently unleashed a tidal wave of concern for major businesses and public figures. ICANN’s introduction of gTLD extension names means domain squatters are now able to purchase websites such as tommyhilfgier.clothing or cnn.news to take advantage of the trademarks’ profitability and branding. 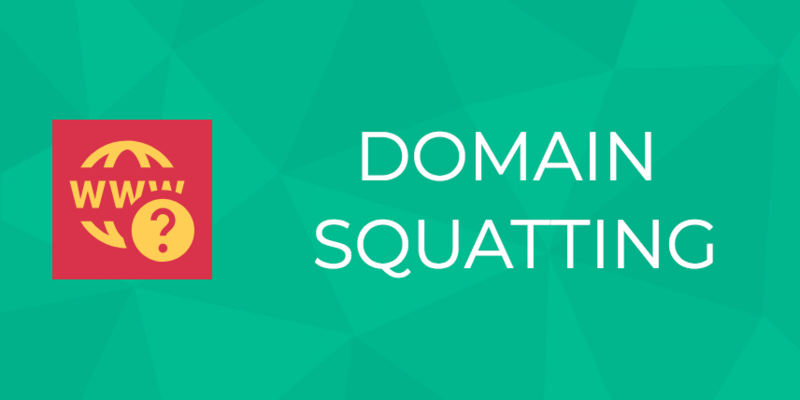 As a result, lawsuits against domain squatters are on the up, when many previously believed that the concept of squatting would inevitably die down. To the dismay of many, domain squatting endures. While it has evolved in a myriad of ways, domain squatting will surely exist for as long as the internet itself exists, with individuals across the world attempting to cash in on the viability of namesakes. Fortunately, however, domain squatting can be successfully contended with. Carefully crafted lawsuits full of research, supportive facts, and a demonstrated right to a particular domain name can and will ensure that complainants can march successfully through a litany of legal gray areas into a cut-and-dry case that’s ultimately ruled in their favor. You are here: Home > Welcome To The Digital.com Blog > Miscellaneous > Domain Squatting: How To Protect Your Business. Find Out YOUR Legal Rights. Next: 25 Awesome Quotes About Success That’ll Inspire You Right Now.